Over the past two decades, “…the Festival has become one of the most important forums for non hip-hop black music and culture,” as reported by the New York Times . This year’s milestone 4-day celebration will feature both world-renowned and up-and-coming performing acts, as well as the country’s top speakers, authors, leaders, innovators and celebrities – who will come together to entertain, excite, engage, inform and inspire the Festival community of more than 543,000. The Superdome Mainstage performers will include powerhouses Prince (previously announced), Lionel Richie, Mary J. Blige , Jill Scott, Erykah Badu, Ledisi and Charlie Wilson . The intimate Superlounge stages will feature eclectic crowd-pleasers such as: 112, Amel Larrieux, Big Sam’s Funky Nation, Doug E Fresh, Elle Varner, Eve, King, Kourtney Heart, Leela James, Liv Warfield, Marsha Ambrosius, Naughty by Nature, PJ Morton, Raheem Davaughn, Robert Glasper, Sebastian Mikael, Sevyn Streeter, Stephanie Mills and The Original Pinettes Brass Band. 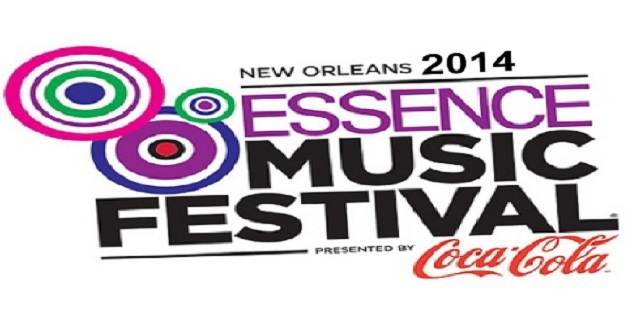 The daytime Essence Empowerment Experience stage will feature influential leaders and personalities including Rev. Al Sharpton , Steve Harvey , and Iyanla Vanzant, who is offering a group transformation to lucky winners of a contest launched in the January 2014 issue of Essence magazine. Plus, attendees will get lifted during an all-star gospel tribute to illustrious vocalist Yolanda Adams , hosted by legendary Pastor Donnie McClurkin. More performing acts and speakers to be announced soon.